Halong Bay is one of Vietnam's most well-known tourist destinations, which captivates a lot of tourists by its emerald green water and spectacular limestone mountains. Join in this tour and travel around Halong, you may experience part of its latent gorgeousness and find out why its beauty is inimitable. 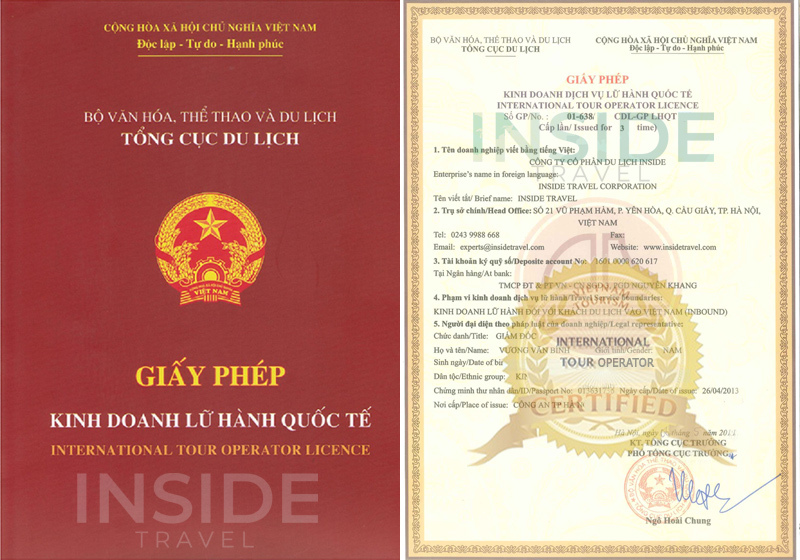 Our private car and tour guide will come to pick you up at your hotel in Hanoi at about 8:00AM. Then our departure will start with an interesting trip to Halong Bay. We will pass Bac Ninh province on the way. You can take photos of the green fields of the countryside. We will reach tourist wharf around noon. You will be welcomed by the crew on Bai Tho one day Cruise and then have some time to enjoy welcome drinks. After that, your dreamy cruise will officially start. We will pass by the Dog Stone and the Burning Incense islet. Take the opportunity to view stunning sceneries with large ranges of limestone mountains as well as the emerald water of Halong Bay. You can take advantage of this occasion to shoot yourself some spectacular photos. Enjoy a special lunch with local seafood while cruising to a fishing village. Our final stop will be the Heavenly Palace (Thien Cung cave) - one of the largest and most beautiful grottoes in Halong Bay. Visiting Thien Cung cave, you can enjoy interesting stories about the shapes of the stalactites and stalagmites closely connected to the Halong Bay legend of King Dragon. Then we return to Bai Tho Cruise. You will have some time to relax before transfer to tourist wharf and back to Hanoi. Arriving in Hanoi at about 19:30, say farewell to our tour guide and driver. End of services.